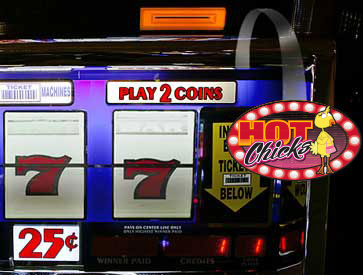 “Hot Chicks” are coming to YOUR casino! 1) IMPRESS the Chick. These girls just want to have fun... and they are impressed by PLAY. Players earn their chicks by achieving point totals you set via their players club card. 3) TAKE OUT the Chick. 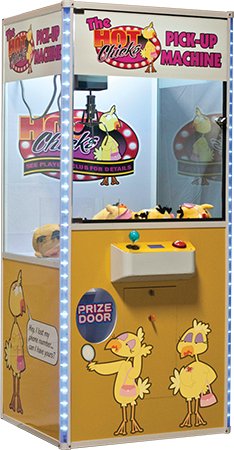 Players scratch off prize symbol matching it to the prize board at the Players Club booth, and take out the Chick with all of your winnings! 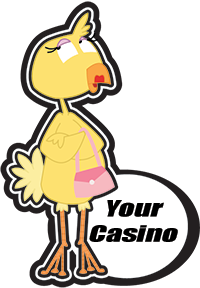 • This is an exclusive promotion- ...only one casino per marketing area will be able to boast via billboard they have the “HOTTEST Chicks” in town! • This is an entire TURNKEY promotion built around prop comedy- your players will keep talking about their “chick magnets”, “hot tees” etc that come in your package. • Also includes all the collateral you need to keep your players playing: slot wobblers, employee buttons, and wall noodles! Easily removable decal for slot endcaps or doors.